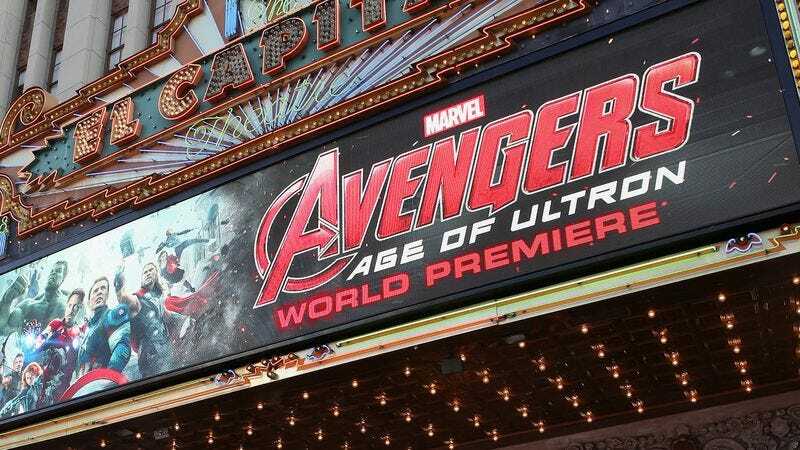 LOS ANGELES—Promising that the sequel would continue to follow the impressive feats of an incredible group of revenue streams, executives at Marvel Studios confirmed Friday that Avengers: Age Of Ultron picks up right where the first film’s profits left off. “The last Avengers movie triumphantly concluded with $1.5 billion at the international box office, and Age Of Ultron will jump right back in and continue earning from there,” said Marvel Studios president Kevin Feige, who added that long-time investors would be able to return to collecting dividends from the superhero film franchise without skipping a beat. “I can’t tell you exactly how this one turns out, but I think it’s safe to say that people will be blown away by this movie’s spectacular 10-figure revenue. Of course, this film is going to leave the door wide open for possible future Avengers movie profits, and we might even explore the option of earning income from each individual character.” Feige added that careful observers would notice how ticket sale proceeds from the Avengers, Captain America, and Iron Man films were all connected.